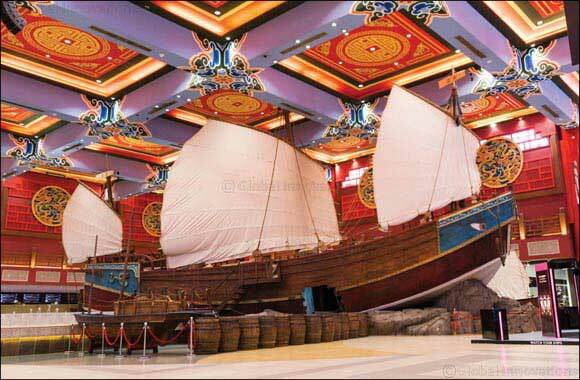 Dubai, 5 December, 2018: Ibn Battuta Mall is ringing in the festive season with magical activities, including a special guest from the North Pole, dazzling decorations and free gift-wrapping, from 6 to 24 December. Explore the snowy winter wonderland of the Festive Village at China Court where Santa, dressed in his famous red coat and chunky boots, will greet children every day from 4pm to 8pm. Meanwhile, a giant festive tree will be the centerpiece of India Court – and a new spot for holiday season selfies. And once the shopping is over, enjoy complimentary gift-wrapping services at Persia Court, every day from 10am to 10pm.